CLAY, N.Y. (October 31, 2017) – Joe Trenca is transitioning to a 410ci winged sprint car heavy schedule in 2018. The Mucci Motorsports driver has increased his 410 races each of the last two seasons and will shift his focus to 410s next season. Trenca said he plans to compete in approximately two dozen Arctic Cat All Star Circuit of Champions races, 15 with the World of Outlaws Craftsman Sprint Car Series, parts of the Ohio Speedweek and Pennsylvania Speedweek as well as local events in Central Pennsylvania. “I think it will help to focus on our 410 program,” he said. “We need to race it more and get more accustomed to it. We learned a lot this season and are going to work hard on that over the winter. Trenca produced his career-best 410 result this season with a ninth-place finish on July 28 at Outlaw Speedway in Dundee, N.Y., with the All Stars. 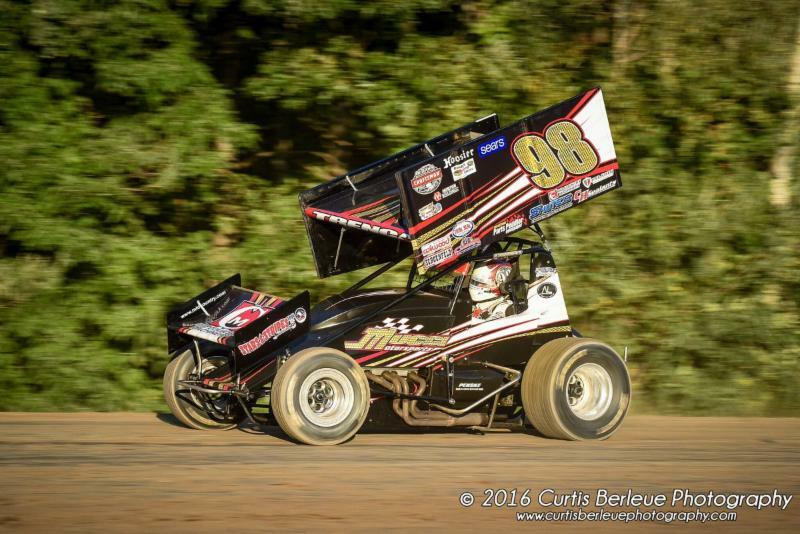 He also scored a career-best runner-up result in 360 action at McKean County Speedway in Smethport, Pa., on June 29 and at Outlaw Speedway on Sept. 22. Trenca finished the season with a career-best 11 top 10s. “We had some good runs in the 360 this year and we’re ready to move into 410s,” he said. “We’re going to work hard this offseason to get our program ready to start the season earlier than we normally do. I’m excited to focus on 410s and see how much we can progress in 2018.